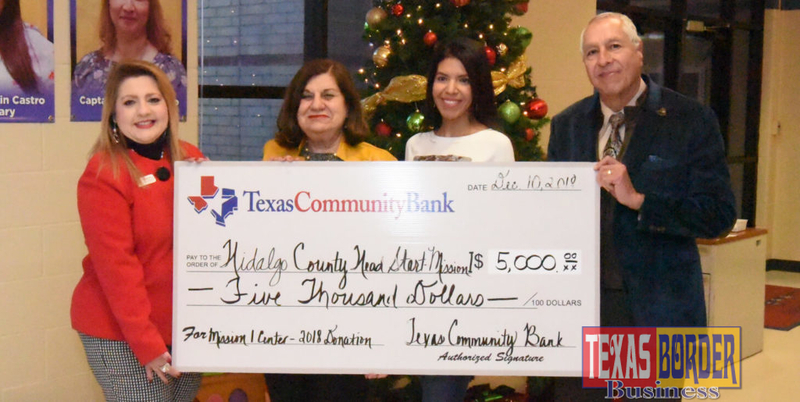 Pictured from L-R: Lisa Cantu, Texas Community Bank; Theresa Flores, Hidalgo County Head Start Program, and Roger Moreno, Executive Vice President for Texas Community Bank. They presented a $5,000 check as a donation to Hidalgo County Head Start Program in Mission. Photo by Roberto Hugo Gonzalez. Texas Community Bank had the best philanthropic year in 2018. Multiple donations were made to selected nonprofit organizations that provide value to residents of the Rio Grande Valley. This time, Hidalgo County Head Start Program in Mission, Texas became a recipient of $5,000. Roger Moreno, the executive vice president for Texas Community Bank in McAllen, told Texas Border Business they were delivering a check. “We feel that as members of the community, it is vital for us to participate and be able to help the neediest in our communities,” Moreno said. He added that those funds will be used to advance the education of pre-school children and the Head Start program in Mission, Texas. Texas Community Bank is headquartered in Texas. It is a community bank oriented to serving the Valley’s communities. Moreno said that the board members of the bank and the shareholders are all local citizens who have grown up in South Texas and are proud to serve the South Texas community. The bank was organized in 2007 and headquartered in Somerset Texas which is right outside of San Antonio. 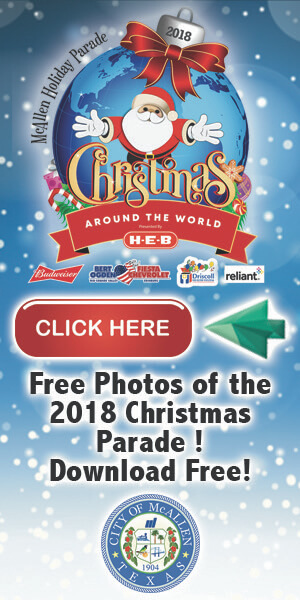 Moreno said, “We moved the headquarters to Laredo at the end of 2007. 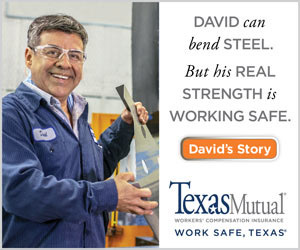 We now have branches in San Antonio, Laredo, Del Rio, McAllen, and Brownsville, a total of eight branches. “We want to wish the Head Start program continued success in serving our neediest children,” Moreno finalized. Theresa Flores, the executive director for the Hidalgo County Head Start program, received the donation. She said that the program is a county program. It serves three thousand six hundred and ninety children. “We have centers in all the cities in Hidalgo County, and we have partnerships with ten school districts, all of our children are dual enrolled with the school system as well as with us,” she said. She pointed out that it is quite an excitement to see that the community reached out to them and helped the effort. Funds provided by the Texas Community will help in many ways. At the time of the interview, Mrs. Flores said that they were waiting to be cleared by the upper hierarchy to be able to move to their new building which adjacent to Captain Joaquin Castro Elementary in Mission. “Because we are a licensed facility and we have to meet all the requirements of top care licensing it takes a little while, from two to three months,” she said. Estimated date to move is the end of January or February 2019. Also, with the Head Start group to receive the donation, was Myrna Gonzalez, manager of Mission One Head Start. Myrna is in her second-year supervising instruction quality provided in the classrooms for the children and to help families get the resources that they need. She has been a teacher for nine years, so she has a lot of experience in the field. Besides, she said that to select non-profit organizations, bank officers through their chain, that is already involved with Rotary, or Boys and Girls club, be able or other similar entities, decide where to place the donations.